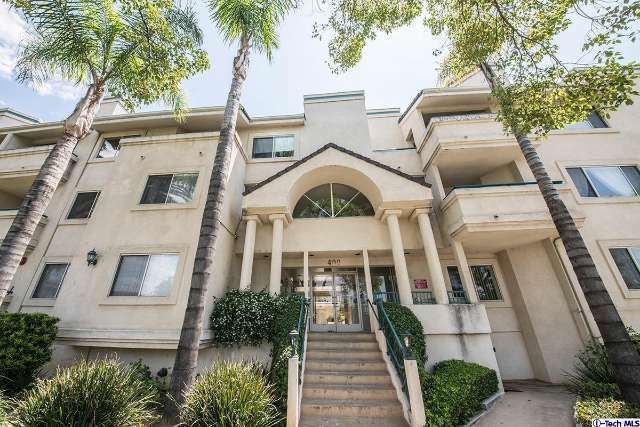 Completely remodeled condo in central Glendale location! Offers: 2 bedrooms, 2 baths, formal entry, living room with crown molding and fireplace, dining area, custom kitchen with Corian counters, glass backsplash, tile floors, stainless steel dishwasher & stove, Large master bedroom with mirrored closet doors. Features include: central air and heat, laminate and tile flooring, oversized patio, laundry in unit! Completely remodeled in 2015-2016! HOA offers: security building, 2 parking spaces, plus storage.